Police are searching for a suspect in a Reckless Endangerment case. Baldwin, NY - March 16, 2014 - The First Squad reports the detail of a Reckless Endangerment which occurred on Saturday, March 15, 2014 at 6:47 P.M. in Baldwin. According to detectives, a female victim, 25, was sitting in a parked vehicle on Brooklyn Avenue when a gray/silver car passed her traveling westbound and parked. She observed a black male in his twenties with a thin build, clean shaven wearing a gray hooded sweatshirt and blue jeans exit the passenger side of the car and walk towards her. Two unknown males were standing outside the victim’s car in front of a house when the suspect took a silver handgun from his sweatshirt pocket and discharged it three times in the direction of the two males, who fled on foot. The victim attempted to pull away at which time the suspect discharged his weapon twice at her vehicle causing the victim to strike a sign pole and a stoop of a Brooklyn Avenue home. The suspect fled on foot westbound on Brooklyn Avenue and got into the passenger side of the suspect vehicle which fled westbound. There were no apparent gunshot victims at the scene. The female victim suffered a minor head contusion and was transported to an area hospital for treatment. 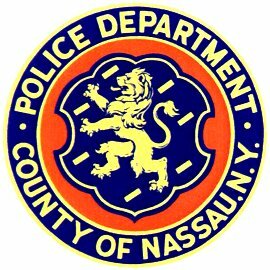 Subject: LongIsland.com - Your Name sent you Article details of "NCPD Searching for Man Who Fired Several Shots in Baldwin Neighborhood"